<?xml:namespace prefix = o ns = "urn:schemas-microsoft-com:office:office" />Type ‘James Brown’ into a search engine or a sample-source website and you’re going to get back pages and pages of hits. So many that you’ll initially think you made a mistake. But no, it isn’t a mistake. James Brown samples are just that prevalent. James is listed as The-Breaks.com’s number one most-sampled artist ever. And his total sample count of 903 is more than triple that of the nearest contender. It’s said that J.B. makes millions per year on sample-related royalties alone. So why? Why did James Brown’s music have such a pull on all of us? The answer is actually simple. It’s rhythm. 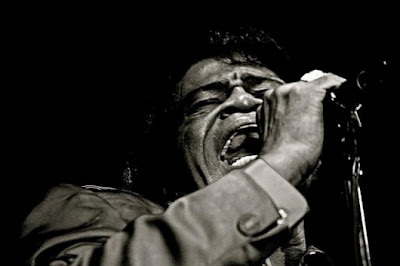 James Brown, the maestro managed to turn his entire band into a rhythm instrument. And by ‘entire band’ I don’t just mean the traditional rhythm section of the drummer and the bass player. Listen closely to the horn riffs on “Funky Drummer” or “Get Up, Get Into It.” That’s rhythmic—not harmonic or melodic. Listen to the classic ‘chicken-scratching’ of the guitar on “The Payback.” Again, that’s rhythm. By the late 1960s and early '70s, the period most-favored by hip-hoppers, J.B. was deep into his 'New Super Super Heavy Funk’ phase. Even his vocals were rhythmic. He chant, spoke and grunted his way through nearly every record. There was virtually no attempt on J.B.’s part to actually ‘sing.’ He’d eschewed melody and harmony almost entirely to create symphonies of pure rhythm. Do you love the sound of electric guitars? If you have ever wanted to learn how to play a musical instrument, sign online today! Learning how to play a musical instrument takes time and money; for the best prices in music instruments let us help you! Music is the universal language! Truthfully, trying to take a brief look into the world of J.B is like trying to write a brief history of the universe, but we’re going to give it a shot anyway. To keep the job manageable, and keep this post down to a readable length, I’m going to limit the list to five and keep my comments brief . So here, in reverse order, are hip-hop’s five favorite J.B. breaks ever. For me, these two tracks from the J.B.’s - the Godfather’s backup band - were the jaw-droppers. Even back when my musical diet consisted of 95% rap and 5% reggae, I’d heard enough classic soul around the house to know my hip-hop heroes were rapping over lifted loops. If you’re familiar with Golden Age-era hip-hop and you haven’t heard either one of these, you’re in for a surprise. What about the soul sisters in the background? This one has been chopped up so frequently and so completely, that it’s hard for me to hear it as an actual song. For someone with hip-hop ears, “Funky President” sounds more like a megamix of rap breaks than it sounds like a musical performance by an actual band. How’s that for weird? A sample source that has been sampled so much that it starts to sound like a mix of samples. Number one by far. And, I can say with certainty that the 182 records listed on The-Breaks.com are only the tip of a very large, wide and deep iceberg. Remember, The-Breaks lists only verifiable samples and nearly all of them are from the world of hip-hop. But like the ‘Amen’ break, the break from “Funky Drummer” has become ubiquitous enough that it is no longer always thought of as an actual sample, and its use certainly isn’t contained to hip-hop. These days, the James Brown beat can turn up anywhere: Commercials, pop tunes, movie soundtracks, random NBA dancers’ halftime routines, embarrassingly bad Madonna/Lenny Kravitz records, literally anywhere. The “Funky Drummer” break may have began as a fragment of a song, but it’s become an integral part of the soundscape of the modern world. The thing is, someone had to play that beat. That someone is James Brown’s main man and master funk drummer Clyde Stubblefield. With the possible exception of the ‘Amen’ break’s G.C. Coleman, Stubblefield is probably the most unwittingly prolific session musician in the history of recorded music itself. When you consider that rap music in its essential form is nothing but vocal rhythms (MCing) layered over drum rhythms (DJing) with no melody or harmony, it shouldn’t be surprising that hip-hop and James Brown would fit so well together. In fact, the Godfather of Hip-Hop himself, DJ Kool Herc has been quoted as saying that if it weren’t for James Brown, there would no such thing as hip-hop. All I can say to that is ‘amen.’ (No pun intended.) This one’s for you, J.B. Rest in Peace! Mtume ya Salaam is a published writer and an expert on contemporary Black music. He lives in New Orleans, USA and can be reached at mtume_s@yahoo.com. Please e-mail comments to comments@thenewblackmagazine. Hush mah mouff! It’s James Brown! Little did I know bout how much he meant to hip hop. I mean, I know he is an influence, but to the extent you're reportin here . . . damn! Funk is a process; a process changing one’s perception of self in time and space. One of the greatest songs in the history of popular black music is James Brown’s sixties soul classic, ‘Say It Loud, I’m Black And I’m Proud’. Never before had any popular entertainer captured the mood of Black people. It was The Godfather dancing under the white hot and exacting glare of television light. Adorned in black silk papa humped and slid, leaving sweaty images of obsidian Jesus on the back of his shirt and shinning images of Blackness in the national consciousness. They hated James. We loved him. As we raised our voices in song a dark cloud of polution also billowed as hundreds gathered to burn James’ records. Now they love him. And We hate to see mug shots of him on every national news telecast and tabloid; hair laid to the side ‘processed’ like unfortunate strands of genocide. Good song though!